Summer is behind us, the kids are back to school, and we are now looking ahead to fall. However, if you aren’t quite ready to say goodbye to summer, why not extend that summer feeling with a fall Okanagan getaway? Many people love to visit the Okanagan in the fall because the weather is still beautiful, the beaches are a little less busy, and there are lots of great festivals and events. If you are planning a visit to the Okanagan, be sure to visit www.BCAleTrail.ca to help plan your trip. There are breweries up and down the Okanagan Valley and throughout the Interior, so you have lots of great options on your craft beer journey. We just launched a new passport program for the Penticton Ale Trail. Visit all five Penticton craft breweries, get your passport stamped at each brewery, then drop your completed passport at one of the breweries for your chance to win prizes including BC Ale Trail beer swag, golf and ski passes, and tickets to the 2019 Okanagan Fest of Ale. Looking for a great reason to head to the South Okanagan? In September, there is the Vancouver Canucks Young Stars Classic, the Pentastic Jazz Festival, the Penticton Dragon Boat Festival, and the Freak ’n Farmer Adventure Obstacle Race. You’ll be able to find great local craft beer at all of these events, as well as at the Oliver Cask & Keg Festival on September 29th. The 9th annual Penticton Oktoberfest will be held on October 20th, in a new location this year at the Penticton Lakeside Resort. Enjoy local beers from Cannery Brewing and Highway 97 Brewery, as well as German imports, local cider from Summerland Heritage Cider, mouth-watering food, and entertainment that will get you dancing. Check their website for accommodation and ticket packages. Also mark the date for the 5th annual Dia de Los Muertos Cerveza Fuerte launch party on November 1st at Bad Tattoo Brewing. At the event, they will launch the 4th vintage of La Resurreccion. Keep an eye on their social media for details and ticket availability. 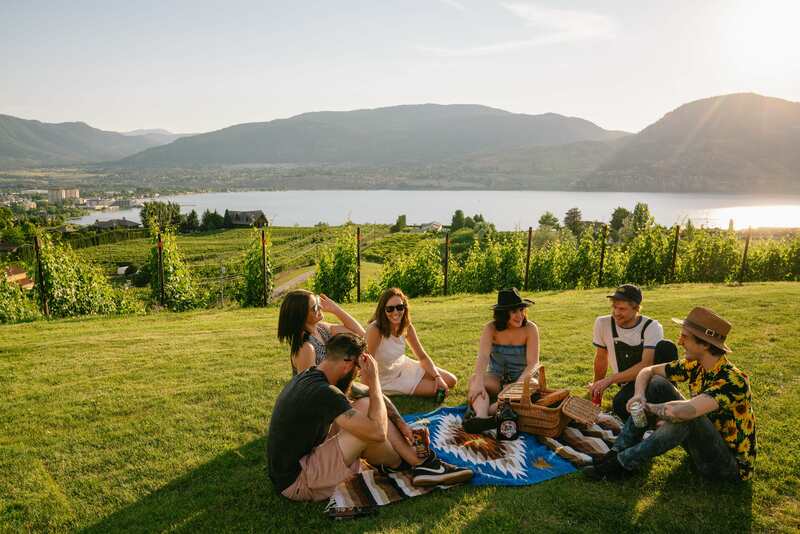 You can also enjoy a taste of the Okanagan at a number of upcoming beer festivals including Victoria’s Great Canadian Beer Festival and Whistler Village Beer Festival. There will be some great fall seasonals from our breweries in the weeks ahead. Watch for a Pumpkin Milkshake English IPA in September and a Salty Caramel Gose Sour in October from Bad Tattoo Brewing. Both new releases will be available on tap and in 650ml bombers at the brewery and at craft-beer focused stores around BC. The Barley Mill Brew Pub is featuring an India Session Ale until the end of September, followed by a seasonal Honey Pilsner. Both are available only on tap and for growler fills onsite. The team at Tin Whistle Brewing recently launched their first cans, starting off with their popular Peach Cream Ale. Watch for their new tall boy cans of 473ml beers from Penticton at a store near you. Highway 97 Brewery is launching a lunch and dinner menu at the brewery featuring gourmet grilled cheese sandwiches, in addition to locally made samosas and steak and porter pies, to accompany their 11 different small batch fresh craft beers. This fall they will also be featuring 2 fresh hopped ales and the last of their Okanagan Fresh Fruit Hefeweizen, so get it while it lasts. Over at Cannery Brewing, we are excited for the launch of our new Bonsai Rice Ale, the latest in our series of limited release beers that are available on tap and in 4-packs of 473ml cans. This beer features a gorgeous keepsake label by Penticton artist, Skyler Punnett. In September, we’ll also be launching the first release in our new barrel aged series, Berry Kettle Sour in 750ml bottles. All of us in the Okanagan are thankful to the firefighters and emergency service workers who again this summer worked tirelessly fighting the BC wildfires. As a tribute to those fighting the fires, Cannery Brewing’s limited release Wildfire IPA is back in September, this time in 473ml cans. A portion of the proceeds from the sale of this beer supports the great work of the Canadian Fallen Firefighters Foundation.